"In the mid-70s, conservative corporations, foundations and politicians organized to reclaim power after 40 years of Democratic government. The result of this well-funded political and media machine was the Reagan Revolution, culminating in Republic control of Congress in 1994. One of the machine’s most important leaders is Richard Mellon Scaife, the billionaire who is financing nearly all the scandals that engulf President Clinton." The conspiracy didn't stop when President Clinton's impeachment was halted in its tracks, but Clinton's statement later, that "...when asked on Meet the Press (September 27, 2009) whether the vast right wing conspiracy was involved in the attacks on President Barack Obama, said "Oh, you bet. Sure it is. It's not as strong as it was, because America's changed demographically, but it's as virulent as it was ... when they accused me of murder and all that stuff." "Thus was born one of the more enduring sound bites in modern political dialogue. But history has documented that certain forces were at work to create scandal – or encourage the scandals Clinton manufactured on his own – as a means of stymieing the Clinton agenda. In issuing an apology to the Clintons, conservative-turned-liberal writer, David Brock, admitted that he had been a part of such a concerted effort to interfere with the administration when he first brought the Paula Jones scandal to the public’s attention. Brock later discovered that certain Arkansas state troopers had been paid money to give testimony against Clinton, casting the entire affair in a very different light. That money came from somewhere. Brock went on to confirm that there was, indeed, an organized conspiracy to smear Bill Clinton. He did, however, take exception to attaching the word ‘vast’ as he believed it to be a small, very well financed, group. These well-financed groups have grown substantially since the Clinton era – both in bankrolls and power. Once dedicated to supporting far right candidates and making mischief for the purpose of grinding the wheels of centrist government to a halt by distracting the administration with scandal after scandal, they now have taken on a far more virulent form. 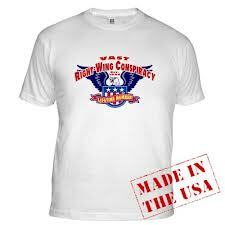 Today, the right-wing conspiracy uses the same front groups, think tanks and foundations to much greater effect, successfully controlling the legislative process – particularly at the state level. I have written, in some detail, of the involvement of the Koch Brothers and their front organizations – such as Americans For Prosperity – in the effort to destroy the Wisconsin state employee unions. But they have not acted alone. Take, for example, the Lynde and Harry Bradley Foundation, who ante upped big for the fight in Wisconsin. The organization, founded by John Birch Society co-founder Harry Bradley, (another co-founder of that organization was Koch Brothers father, Frederick Koch) has $460 million in the bank, available for the fight against America’s unions. 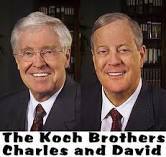 They have used that money to fund some of the key backers of Scott Walker’s efforts to destroy the Wisconsin unions. Bradley has contributed $300,000 in the past three years to The MacIver Institute, the non-profit that took the lead in producing the rapid-response videos attacking the Wisconsin protesters attempting to stop Gov. Walker’s actions. But that’s nothing compared to the $10 million Bradley has given to the conservative think tank, The Wisconsin Policy Research Institute. Not only did the institute use the Bradley money to fund polls designed to back Walker’s position, the alleged ‘think tank’ produced a number of attack advertisements directed against Scott Walker’s adversaries, an incredibly unusual practice as think tanks rarely get involved with negative politicking via television advertising. The Bradley Foundation is also a major contributor to the Koch Brothers’Americans For Prosperity group which not only helped Scott Walker be elected, but bussed in Tea Party protestors to show the world that the pro-collective bargaining forces in Wisconsin were not the only ones capable of staging a protest. And, as luck would have it, the CEO of the Bradley Foundation happens to have served as Chairman of the Walker For Governor effort and also oversaw the Walker transition team. But the Bradley Foundation is not the only member of the right-wing conspiracy to insert itself into the Walker campaign. Also well represented was the Club For Growth – the organization described by John McCain as the “bagman for the ultra rich” who provided R.J. Johnson to serve as a primary political advisor to the Walker For Governor election effort. Nichols further writes that the Club is a key part of a “national strategy” to get “newly elected Republican governors” to destroy labor and unions. One has to wonder if the independents in Wisconsin who swung the election that put Scott Walker in office would have done so had they known that his campaign was being run by the representatives of the wealthiest of the right-wing wealthy in America. One has to wonder if these folks might have cast a different vote had they understood that the right-wing conspiracy is alive and well and manipulating them into voting against their own self interest. While the ‘vastness’ of the effort may be in question, you have to admit that Hillary Clinton’s suggested right-wing conspiracy has come a long way since the days of trying to sell the nation on the idea that she was responsible for having Vince Foster killed. Make no mistake- the effort is real and hardly in the best interest of the American middle-class. Let’s hope that both journalists and voters do a better job of discovering who is behind GOP campaigns as we move into the 2012 elections so that, in the words of the great political philosophers Roger Daltrey and Pete Townsend, we ‘don’t get fooled again.’"
"It's not likely to slow down any time soon. The increased spending is being driven by the controversial 'Citizens United' Supreme Court ruling in 2010 that allowed super PACs and advocacy groups to raise and spend unlimited amounts of money on elections – though the ruling prevented the money from going directly to a candidate campaign or party. These outside groups are expected to spend more than $970 million on this year's election – with $70 million spent during the week starting October 21 alone. Ah, but that's just chump change. Let's get back to the numbers. • Provide lunch every day for a year for more than 11 million public school students. Each meal costs about $2.92. • Reduce the annual federal deficit—now at $1.1 trillion—by just 0.5 percent. • 250,000 new Priuses (or "Prii") at the starting price of $24,000. • 858 million six-packs of Budweiser beer at $6.99 each. • 4 billion AA batteries to get through the next hurricane. • 1.7 billion gallons of gas (currently at $3.46/gallon nationally), which could fill up 146 million Prii (and also help you get through the next hurricane). • Four years of college tuition at Harvard for nearly 39,000 students. • Minimum wage for a year for 397,877 people (or the entire population of Cleveland, Ohio). • 27,051 new homes at the median home price of $221,800. • Resurfacing of 120,000 miles of U.S. roads and highways. According to a report from U.S. Public Interest Research Groups, 150,000 miles of interstate highways needed repair in 2010. • 60 Boeing 737 airplanes. • 75 percent of what Americans spent on candy and costumes for Halloween this year ($8 billion)." Coupled with gerrymandering, unlimited funding is the only thing that enables the Conservatives to hold onto power in Congress, the state legislatures, and the state and federal executive offices. "WASHINGTON -- The 2012 election was the most expensive in history, with a price tag as high as $6 billion. This staggering amount brought with it many broken barriers: the first $1 billion presidential candidate, the first $70 million Senate campaign, the first $20 million House candidate, and a record $1 billion spent by independent groups, which failed to disclose a record amount. These broken records, like extreme weather in a changing climate, are just signs of the rising tide of money in the nation's political system. For even the non-record breaking political candidates, elections are getting more expensive and less transparent. As a result, candidates spend more time raising money from big-dollar donors and fearing the ire of billionaires, who can freely spend secret money to defeat them. Aside from a possible vote for disclosure legislation in the Senate, Congress is unlikely to take up any reforms to the nation's overheating campaign finance system in the next two years. Republicans in both the House and the Senate, save for a few, oppose almost any campaign finance reform. That leaves Democrats, and that small number of Republicans, to craft legislative language for future consideration." 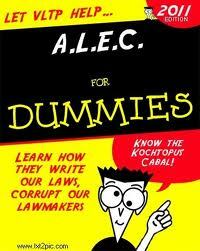 "It does this through a group whose acronym has become as infamous as the NRA — ALEC, the American Legislative Council. ALEC got its start in the early 1970s by opposing “big government” initiatives then being continued by ultra-liberal Richard Nixon. It now has thousands of representatives in all 50 states. Funding comes from corporations like Exxon-Mobil and the biggest names in right-wing conspiring, including Koch, Koch and Scaife. The organization’s hallmark activity is authoring boilerplate legislation that lets its members, predominately Republicans, pass the same laws in state after state by just filling in a few blanks. ALEC’s method of literally replicating bills came to light recently when, after years of planning, Michigan’s Republican Party rushed through so-called “Right to Work” legislation straight from ALEC’s template without any public hearings." 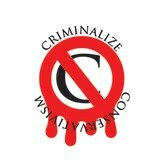 There will be no relief from the depredations of the Conservative leaders and their minions until Conservatism is finally made illegal, when Conservatism is finally criminalized and those responsible punished, and those who blindingly followed the Conservative propagandists and "pundits" are re-educated and welcomed back to the democratic world they were raised in.